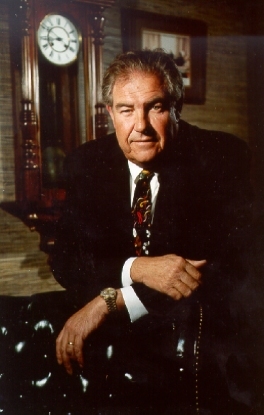 Donald T. "Boysie" Bollinger is Chairman, President and Chief Executive Officer of Bollinger Shipyards, Inc., a family-owned business established in 1946. Bollinger's is a full service marine construction and ship repair company headquartered in Lockport, Louisiana with 12 divisions in Louisiana and one in Texas. Boysie Bollinger serves on numerous Boards of Directors. Additionally, Boysie devotes considerable time to professional and civic organizations. He serves as Chairman of the Nicholls State University Foundation. Boysie has served as Vice Chairman of the United States Coast Guard Foundation, and has served as Chairman of the following, still actively participating in them all: The National World War II Museum, Shipbuilders Council of America (SCA), National Ocean Industries Association (NOIA), Business Council of New Orleans, The Nature Conservancy of Louisiana; Young Presidents Organization, United Way of South LA and the New Orleans Region of the Boy Scouts of America, to name a few. He has served as a delegate to Louisiana's Constitutional Convention in 1973 and served on the Louisiana Board of Regents and the University of Louisiana System Board. Boysie participates at both national and state levels in the political area. He served as a delegate to every Republican National Convention since 1976. He was State Finance Chairman of the Louisiana Republican Party on three occasions and served on the Louisiana Republican State Central Committee. Boysie currently serves on the National Petroleum Council. He previously served on the President's Export Council under the administration of President George H.W. Bush. He is past Chairman of the Governor's Maritime Advisory Task Force, on the board of the Governor's Advisory Commission on Military Affairs, and former Chairman of the Board of Commissioners, Port of New Orleans. Boysie was also a member of the Louisiana Recovery Authority and Bring New Orleans Back Commission, both of which were involved in the rebuilding of New Orleans and Louisiana after Hurricanes Katrina and Rita. Boysie was awarded the Louisiana Republican Party's "Donald G. Bollinger" Award. He was chosen as a Louisiana Legend by Louisiana Public Broadcasting. He's received the Distinguished Citizen Award from the Boy Scouts of America and the C. Alvin Bertel Award, given to an individual who promotes the success of the Port of New Orleans. Boysie has also been awarded numerous awards from local Chambers and volunteer groups, such as Entrepreneur of the Year Award, Junior Achievement Laureate Lifetime Achievement Award, the Woodrow Wilson Award, and New Orleans Propeller Club's Maritime Man of the Year. In 1971, Boysie Bollinger earned his Bachelor of Science Degree in Business Administration from the University of Louisiana, Lafayette. He is married to Joy LeBlanc and has 3 sons.